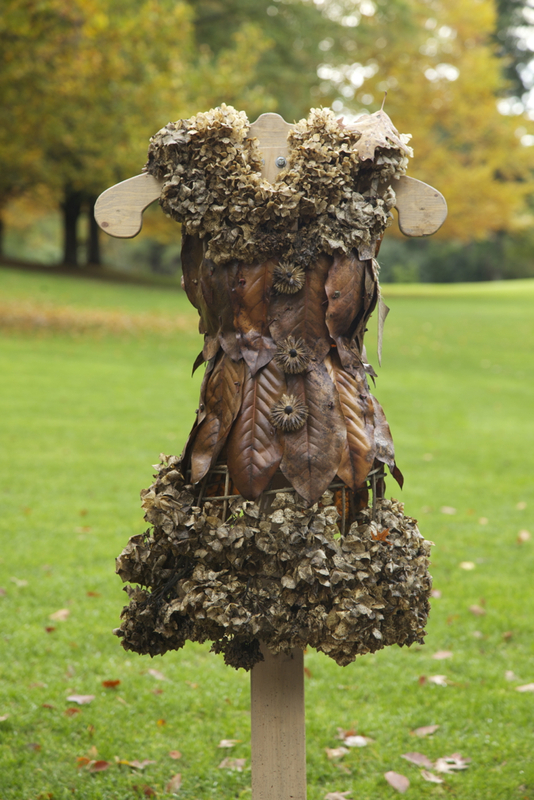 The Little Green Dress Projekt was an outdoor installation in the Earth Art Exhibition at VanDusen Botanical Garden in the summer and fall of 2012. For a full description of the project and to view photos please visit the LGD blog. I was on site for 2 months creating these pieces and installing them one at a time in the perennial garden. They were left to change and decompose over time to emphasize the process of nature. 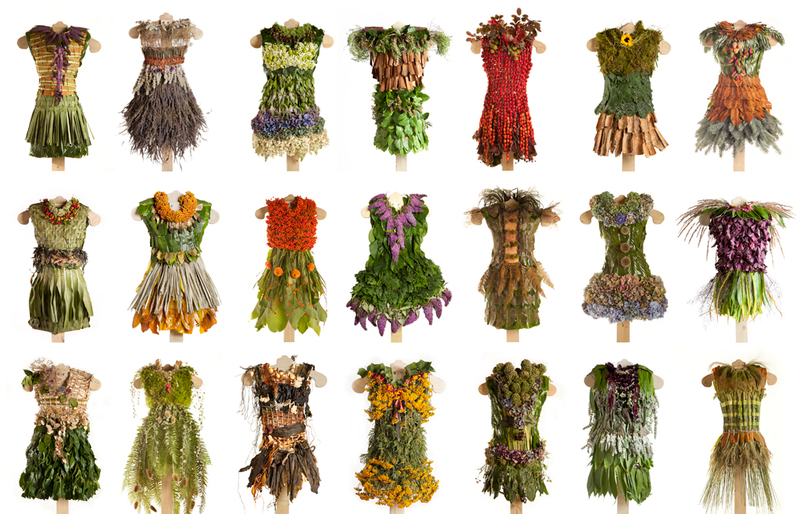 Each dress was made for an individual woman who supplied the leaves and flowers for her dress. Four women worn their dresses for the exhibition opening on August 2nd. In attendance were the curator, John Grande and artists Nils Udo, Urs Twellman, Chris Booth and Michael Dennis. Many thanks to my helpers Nita Bowerman, Martin Borden and Ruth Wolf who made the armatures for each dress. Also special thanks go to garden director, Harry Jongerden who was responsible for the exhibition and his tireless assistant Tracee Jung. The exhibition was well received in the press thanks to publicist Nancy Wong. [vimeo http://vimeo.com/47267473] Martin Borden created a short video of the dresses worn on opening night. 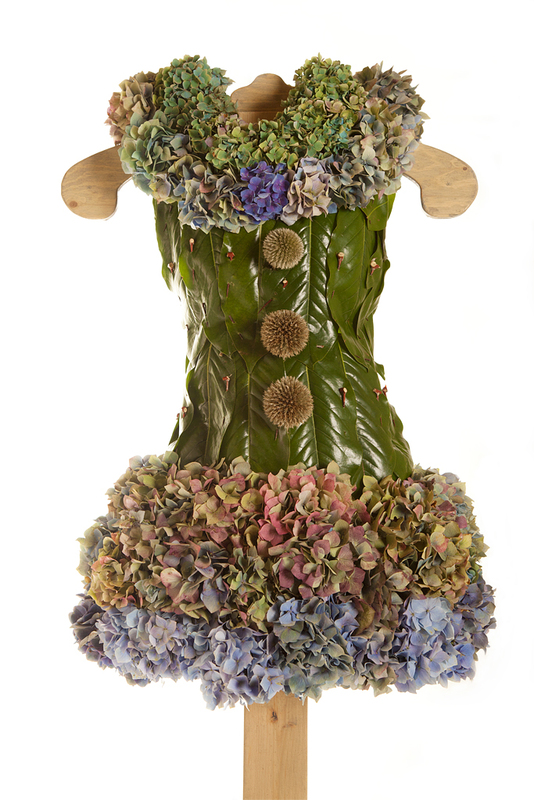 made from Magnolia leaves, Hydrangea flowers and Globe Thistle. Barbara’s dress after 2 months outdoors, turned a golden brown patina from sun wind and rain.